Your eyes are one of the first things people will notice about you. Clear, sparkly eyes light up your face. That’s why, on days when you don’t have time for makeup, you can still look gorgeous with just some mascara and eye liner to highlight your peepers. The skin around the eyes also contributes to their beauty. So if you have dark circles, wrinkles or puffiness around the eyes, it mars your whole appearance. It’s not just about vanity though. 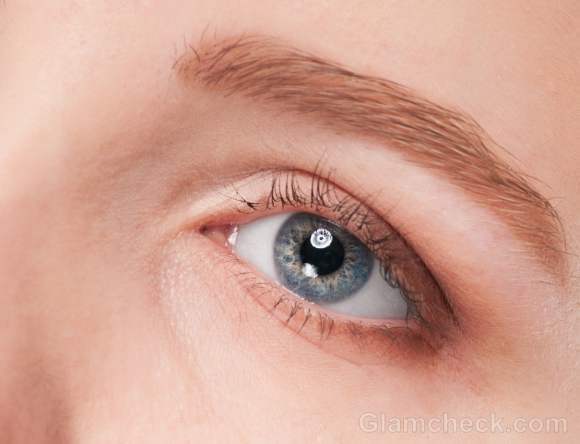 The condition of the skin around your eyes is an indication of your health and lifestyle. Bad skin around the eyes means there is something off about your life causing it. Bags under the eyes, age spots, puffiness and dark circles can age your face tremendously. If you do not indulge in some eye skin care on a regular basis it will soon show because the skin under eyes and around the eyes it is some of the thinnest on the body. Thin skin needs greater care because it is more vulnerable to damage from the sun, pollution, bad health and general everyday wear and tear. Eye skin care, like everything else related to our body, is a holistic process. So apart from masks, serums, moisturizers and lotions for the eyes you also have to look into other aspects of your life if you want to take care of your eyes. We will look at eye skin care tips that encompass all these factors so that you can develop a well-rounded routine. The sun is not bad for you. Excessive exposure is. Especially at times of the day when the sun is at its peak (11 am to 4pm). Avoid the sun during these hours. Apply an eye cream or lotion with SPF at all times to minimize damage even if you are not going to be stepping outside. Investing in a pair of sunglasses that protect against the harmful ultraviolet rays of the sun is also a good idea. Another reason that wearing sun glasses is good for the eyes is because it will prevent you from squinting, which will reduce the fine lines that form under and around the eyes. Smoking will age your skin faster than anything else. Here’s why. The nicotine in cigarettes causes the blood vessels under the eyes to get constricted. This impairs normal blood flow. Blood carries oxygen and nutrition to all parts of the body. So any place in your body that has constricted blood vessels will receive less of both. Smoking also greatly dehydrates the body, which in turn leads to skin damage. Remember that since the skin around the eyes is so thin, that’s the first place that will reflect the damage. Another thing smoking does is to greatly damage the production of elastin and collagen. Both of these make your skin smooth, supple and free of wrinkles. They are also what help your skin pop back into place when creases are formed from smiling, squinting and frowning. The more you smoke, the less collagen and elastin your skin will have and the sooner your skin will age. 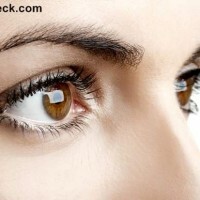 The reasons for dark circles and bags under the eyes are still not fully understood. However, the consensus leans towards it having more to do with your general health and lifestyle than any other factor. Stressing out, eating a lot of junk food, lack of exercise, watching too much TV, playing too many computer games or spending several hours in front of the computer will reflect on the skin under and around your eyes. So it is in the best interests of beauty and your long-term health that you alter your lifestyle. Eat more fruits and vegetables. Natural, plant-based foods contain vitamins, minerals, anti-oxidants and healthy fats which your body can easily assimilate and allow you to get the benefits of. Exercise a couple of times a week. Anything that lets you break a sweat will work wonders. Get your full eight hours of sleep every night. Make resting a priority. When you sleep enough, your body can work on replenishing and rejuvenating organs and skin cells. Limit the amount of time you spend in front of a screen. This is very stressful on the eyes and leads to puffiness. This is the number 1 thing you should do not just for eye skin care but for skin care and overall health as well. Drinking water keeps you hydrated which means your skin will be hydrated too, thus preventing the skin around the eyes from getting dry and developing wrinkles. Read more: Skin benefits of drinking water. Many of us have the habit of squinting a bit when we’re anxious or stressed, when we’re thinking or reading or even when we’re listening to someone speak. The more you squint, the more you define the dozens of tiny lines around your eyes, which means you’ll be setting them in deeper every time you squint. This is also one of the non-health reasons that you should avoid smoking as the very motion of inhaling the smoke involves a bit of squinting. All makeup is filled with chemicals that you have never heard of which have a negative impact on your skin which the makeup giants will not tell you about. One of the drawbacks of wearing makeup too often is that it will age your skin faster because your skin absorbs those chemicals. The thin skin around the eyes will absorb even more of the chemicals which means quicker damage. Even if you do not apply makeup to your eyes, the makeup on your face can easily transfer to the eye area by seeping there from your cheeks, forehead and nose as well as when you touch your face and then your eyes. So reduce the number of times a week that you wear makeup and wear as little as possible when you do. Your eye liner, mascara, eye shadow, eye bronzer, eye sunscreen, eye moisturizer, eye serum should be specifically made for the eyes. Don’t substitute eye skin care and makeup products with other items from your vanity case which are made for the skin on the rest of your face. The skin under eyes and around the eyes is the most neglected when it comes to our daily beauty regime. That’s OK. The skin around the eyes does not need daily scrubbing or toning, but it could use moisturizer. Thinner skin is inherently drier and this means rapid aging. By moisturizing the skin around the eyes with a product that is made for that area, you will take years off your face in the long run. Hyaluronic acid will help to reduce fine lines around the eyes. It is also one of the best moisturizing ingredients ever because it is able to bind moisture to the skin more than one thousand times its weight in molecules. Shea butter is a rich, natural moisturizer which is perfect for moisturizing the delicate skin under and around the eyes. Eye skin care products with alpha hydroxy acids (AHAs) are also quite beneficial as they gently exfoliate dead skin cells, reduce the appearance of crow’s feet and make skin soft and smooth. AHAs also do a wonderful job of moisturizing the skin and, as we have already seen, that is crucial to eye skin care. Herbs like chamomile and lecithin nourish and rejuvenate the skin under the eyes, as do fruits like avocado. If you apply eye shadow with your fingers or even when applying serums and lotions on the skin under and around the eyes, never rub or be rough. Use a very gentle touch to pat the product onto place and blend using your ring finger. 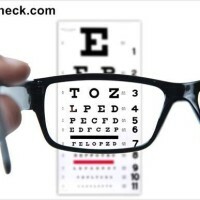 This finger is not as strong as your other fingers so you’ll end up putting less pressure on the skin around the eyes. Keeping your eyes cool with regular eye masks will go a long way in making your peepers look brighter and younger. You don’t need some fancy eye mask for regular eye skin care, unless you want one, of course. If you know anything about beauty tips though then you know that the simplest and the most natural remedies are usually the most effective. A cucumber eye mask is one of the most popular and undoubtedly one of the best eye skin care tips on the planet. It’s no wonder that even high-end spas with fancy facials that cost hundreds of dollars will still use humble cucumber slices to cover your eyes during the facial. Potato eye masks are the second most popular natural eye skin care mask ideas. The starch contained in potatoes literally seeps into your skin (because your skin is an organ and absorbs whatever you put on it). This natural starch soothes the sensitive eye skin area and can also, over time, reduce darkness around the eyes since it acts as a natural bleach and lightens the skin around the eyes. Dampen the skin under eyes and around the eyes, then place thinly-cut potato slices over them and just relax for 15 minutes. Tea bags make amazingly luxurious eye masks. Make sure to never use scalding hot tea bags on your eyes. Let them get lukewarm before placing over your eyes. This will help to reduce eye puffiness and can even help with dark circles. Cold tea bags work well too. After you’re done dipping your tea bag to make your cuppa, squeeze out the excess water from the tea bags, put them in a small vessel and leave in the fridge. When they cool down, pace over eyes for a wonderfully refreshing eye mask. A quick and easy eye mask is cotton balls soaked in cold milk. Ah, bliss! You can use soy milk for faster results as its consistency is thinner than milk from animals and you skin can absorb it more easily. Gel eye masks are rather convenient too. Leave these in the fridge and simply bring them out and place over eyes for instant relief from puffiness, tiredness and heat. The constant rubbing and scrubbing that we tend to do when we wash our faces damages the delicate skin around the eyes. Even taking too many very hot showers can have the same effect. So reduce the number of times you wash your face, allow only lukewarm or cool water on your face and avoid scalding showers. When drying your face, pat don’t rub. When you get worked up, even if your reasons for doing so are valid, it takes a toll on your body from the inside out. It accelerates the aging process considerably. You’ll see proof of this everywhere in people who stress out a lot because of work who look years older than their contemporaries mainly because their eyes are deeply sunken in, the skin around the eyes is highly pigmented and they have crow’s feet well before their time. Develop a balance between your personal life, your work obligations, your home life and your space for yourself so that the same does not happen to you.